Brachiopods possess a large shell compared to their little animal tissue, and most of them are over 90% skeleton. Since they are highly dependent on the shell making process, it has been feared that they are extremely vulnerable to ocean acidification and environmental change. 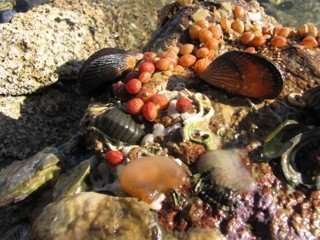 This is significant as brachiopods are present in all our world's oceans and provide a habitat for a diverse range of animals, any changes to their abundance could have wider consequences for marine ecosystems. 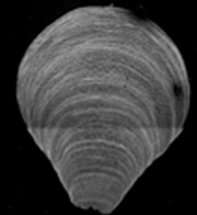 Despite their anticipated vulnerability, the study which examined specimens of the common brachiopod species Calloria inconspicua collected every decade since 1900 – except the 1990's, reveals that six key characteristics of brachiopod shells remained unchanged over the past 120 years. "Museum collections dating back to 1900 highlight that these common brachiopods have been resilient to their changing environment. This was very surprising." "By using a unique collection of specimens this study assesses how organisms have already been affected by past environmental change. Our results provide new insights into how vulnerable organisms might react and possibly adapt to future change."